Rent a superb apartment. It's situated in the center of Rome, a few minutes walk from Via Veneto and Piazza di Spagna. It's only 50 metre from the tube and fifteen-minute walk from the central train station. It's a magnificent 90 square-metre apartment on the 3th floor of an old building; the ceiling is covered with wooden beams. 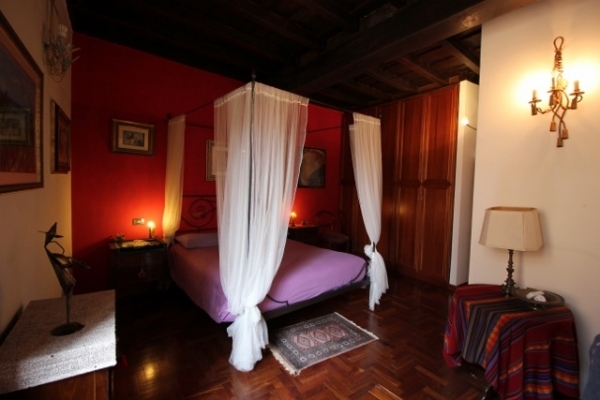 There are two bedrooms with air conditioning, a nice living room with a comfortable fireplace for your romantic dinners. There are two bathrooms with bathtub and shower. There are a washing machine, a dishwasher. The neighbourhood is very safe. The apartment is walking distance from stores, restaurants and the most important monuments and museums.